My previous post, which raised 41 questions about the ethics of technology, is turning out to be one of the most viewed on this site. That is, admittedly, faint praise, but I’m glad that it is because helping us to think about technology is why I write this blog. The post has also prompted a few valuable recommendations from readers, and I wanted to pass these along to you in case you missed them in the comments. Matt Thomas reminded me of two earlier lists of questions we should be asking about our technologies. The first of these is Jacques Ellul’s list of 76 Reasonable Questions to Ask of Any Technology (update: see Doug Hill’s comment below about the authorship of this list.) The second is Neil Postman’s more concise list of Six Questions to Ask of New Technologies. Both are worth perusing. Also, Chad Kohalyk passed along a link to Shannon Vallor’s module, An Introduction to Software Engineering Ethics. Greg Lloyd provided some helpful links to the (frequently misunderstood) Amish approach to technology, including one to this IEEE article by Jameson Wetmore: “Amish Technology: Reinforcing Values and Building Communities” (PDF). In it, we read, “When deciding whether or not to allow a certain practice or technology, the Amish first ask whether it is compatible with their values?” What a radical idea, the rest of us should try it sometime! While we’re on the topic, I wrote about the Tech-Savvy Amish a couple of years ago. And while we’re talking about lists, here’s a post on Kranzberg’s Six Laws of Technology and a list of 11 things I try to do, often with only marginal success, to achieve a healthy relationship with the Internet. Enjoy these, and thanks again to those of you provided the links. In defense of brick and mortar bookstores, particularly used book stores, advocates frequently appeal to the virtue of serendipity and the pleasure of an unexpected discovery. You may know what you’re looking for, but you never know what you might find. Ostensibly, recommendation algorithms serve the same function in online contexts, but the effect is rather the opposite of serendipity and the discoveries are always expected. Take, for instance, this book I stumbled on at a local used book store: Electric Language: A Philosophical Study of Word Processing by Michael Heim. The book is currently #3,577,358 in Amazon’s Bestsellers Ranking, and it has been bought so infrequently that no other book is linked to it. My chances of ever finding this book were vanishingly small, but on Amazon they were slimmer still. “Yet it is precisely this point in time that causes us to become philosophical. For it is at the moment of such transitions that the past becomes clear as a past, as obsolescent, and the future becomes clear as destiny, a challenge of the unknown. A philosophical study of digital writing made five or ten years from now would be better than one written now in the sense of being more comprehensive, more fully certain in its grasp of the new writing. At the same time, however, the felt contrast with the older writing technology would have become faded by the gradually increasing distance from typewritten and mechanical writing. Like our involvement with the automobile, that with processing texts will grow in transparency–until it becomes a condition of our daily life, taken for granted. One of the recurring rhetorical tropes that I’ve listed as a Borg Complex symptom is that of noting that every new technology elicits criticism and evokes fear, society always survives the so-called moral panic or techno-panic, and thus concluding, QED, that those critiques and fears, including those being presently expressed, are always misguided and overblown. It’s a pattern of thought I’ve complained about more than once. In fact, it features as the tenth of myunsolicited points of advice to tech writers. Now, while it is true, as Adam Thierer has noted here, that we should try to understand how societies and individuals have come to cope with or otherwise integrate new technologies, it is not the case that such negotiated settlements are always unalloyed goods for society or for individuals. But this line of argument is compelling to the degree that living memory of what has been displaced has been lost. I may know at an intellectual level what has been lost, because I read about it in a book for example, but it is another thing altogether to have felt that loss. We move on, in other words, because we forget the losses, or, more to the point, because we never knew or experienced the losses for ourselves–they were always someone else’s problem. 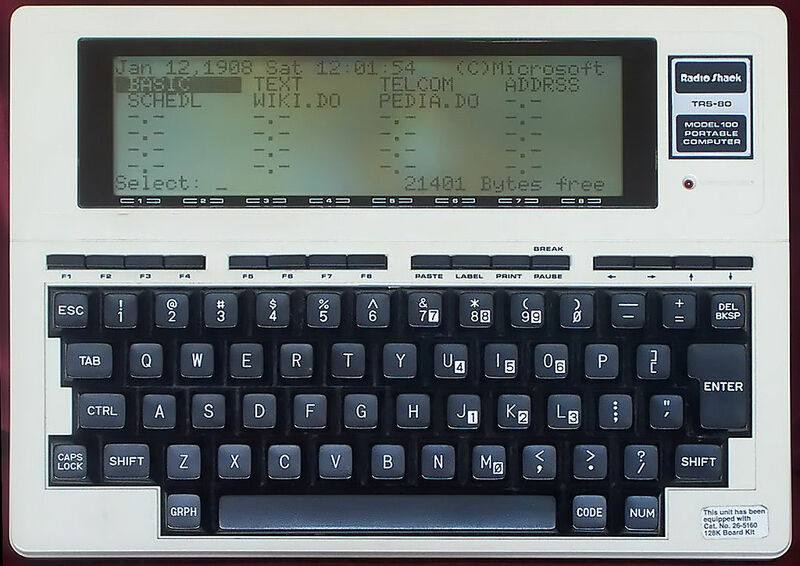 Heim wrote Electric Language on a portable Tandy 100. In the last post, I cited a passage or two from Hannah Arendt in which she discusses “thinking without a bannister,” thinking that attempts to think “as though nobody had thought before.” I endorsed her challenge, but I hinted in passing at a certain unease with this formulation. This largely stemmed from my own sense that we must try to learn from the past. Arendt, however, does not mean to suggest that there is nothing at all that can be learned from the past. This is evident from the attentive care she gives to ancient sources in her efforts to illuminate the present state of things. Rather, she seems to believe that a coherent tradition of thought which we can trust to do our thinking for us, a tradition of thought that can set our intellectual defaults as it were–this kind of tradition is lost. The appearance of totalitarianism in the 20th century (and, I think, the scope and scale of modern technology) led Arendt to her conclusion that thinking must start over. But, again, not entirely without recourse to the tradition. The tradition may have been broken, but it is not altogether lost to us. By the proper method, we may still pluck some pearls and repurpose them to help us make sense of the present. There’s a well-known story about C.S. Lewis and J.R.R. Tolkien’s agreement to write stories about Space and Time. Dissatisfied with the state of Space/Time stories in the 1930s, the two decided to write the kind of stories they wanted to read. Lewis agreed to write a story focused on Space, and Tolkien agreed to write a story focused on Time. Ultimately, Lewis followed through and produced the three books popularly known as his Space Trilogy. Tolkien never quite got around to writing his story about Time, he was too busy finishing some business about a ring. I relate that story because I was reminded of it as I read about SpaceX and Tesla founder, Elon Musk. I’ve written about Peter Thiel a time or two recently, but Thiel isn’t the only tech entrepreneur with an expansive vision for the future. Whereas Thiel’s interests seem to gravitate toward technologies associated with Transhumanism, however, fellow PayPal alum Elon Musk’s interests are interplanetary in scope. It is as if, not unlike Lewis and Tolkien, Musk and Thiel decided to split up Space and Time between them. They, of course, would do more than write–they would seek to conquer their respective fields. Thiel sets out to conquer Time through the radical human enhancement and Musk sets out to conquer Space through interplanetary colonization. Interestingly enough, the ultimate success of their wildest dreams rather depend on one another. Musk was recently interviewed by Ross Anderson for Aeon. Anderson’s title for his nearly 7,000 word essay that resulted, “Exodus,” is apt on at least two counts. 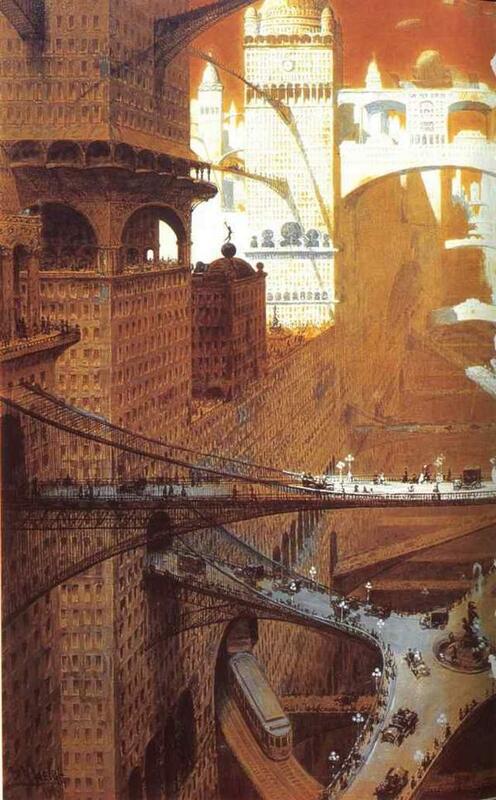 It encompasses both the central theme of the interview–interplanetary migration for the sake of species survival–and the religious themes evoked by Anderson. It’s a long, interesting piece, but here are some of the highlights, particularly in light of recent posts considering technological innovation, culture, and the religion of technology. “I had come to SpaceX to talk to Musk about his vision for the future of space exploration, and I opened our conversation by asking him an old question: why do we spend so much money in space, when Earth is rife with misery, human and otherwise? It might seem like an unfair question. Musk is a private businessman, not a publicly funded space agency. But he is also a special case. His biggest customer is NASA and, more importantly, Musk is someone who says he wants to influence the future of humanity. He will tell you so at the slightest prompting, without so much as flinching at the grandiosity of it, or the track record of people who have used this language in the past. Musk enjoys making money, of course, and he seems to relish the billionaire lifestyle, but he is more than just a capitalist. Whatever else might be said about him, Musk has staked his fortune on businesses that address fundamental human concerns. And so I wondered, why space?